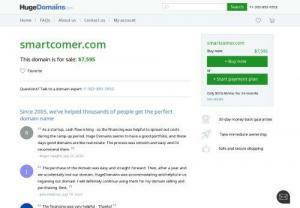 Global price comparison website. 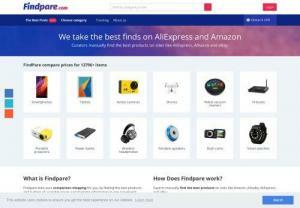 Findpare copares prices from Global, Local and Chinese online stores such as Amazon, Ebay or Aliexpress. Buy Champion mobiles online at best prices in India. Compare, Review & Select from latest Champion smartphones & phablet. Champion mobiles are new generation of mobile phones that redefines life in every way. Loaded with features, looks, quality, technology, service and more. Want to buy a branded cell phone? Know about a branded cell phone features? Want to buy a best cell phone?there are lot of mobiles with latest features. You'll get all information about the latest cell phone brands, features, camera information, prices etc. Mara is a young and dynamic African group with operations in banking, real estate, infrastructure, and technology. Online Shop for mobile phones spare parts with quality in india at best rates. High excellent good quality original mobile parts and replacement parts and accessories. Mobile City is one of the best place to buy Samsung refurbished mobiles in Auckland. Here you can get best deal on refurbished Samsung mobiles and many other brands. For More info visit to: - 2b Empire Road, Epsom, Auckland, New Zealand. The choice for Cell Phone & iPhone repairs in Long Island is clear. My City Wireless offers high quality and experienced repair services as well as the best prices in town. Contact us at: My City Wireless - iPhone Repair 159 Hillside Ave Williston Park NY 11596 (516) 877-2355. Our company give only the Official iPhone offers. We offer many special Gift for our costumer, all you need to do is just take a look in our website and choose your favorite iPhone ! Find the best mobile stores in Udupi as Ballal Mobiles and we are the most popular mobile phone shops in Udupi. We pride ourselves on having one of the most efficient shopping systems available with communication at every stage to inform you of your order status, as well as excellent customer service and support team who are glad to assist you with any enquiry or problem, should one arise. BALAJI MOBILE SHOP, is a Mobile store in Indore. We are provided Mobile recharge, accessories, All new Mobile collecion, Mobile Stores. A+ quality certified refurbished smartphones and tablets with 12 Months warranty and genuine accessories.